Senator Richard Di Natale speaks to the National Press Club. THE new Greens leader has hit out at decades of "under-regulated, turbo-charged casino capitalism" that has helped drive disillusionment with politics. 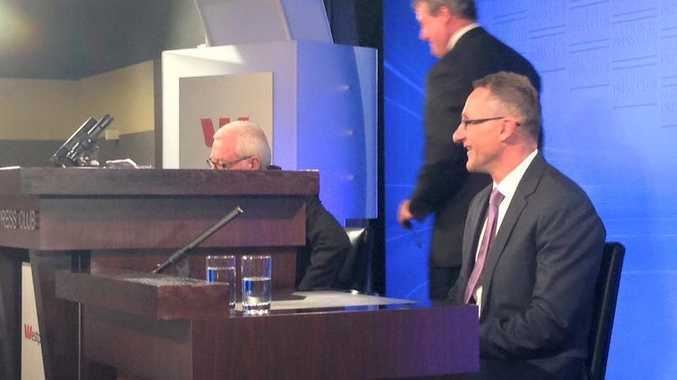 Senator Richard Di Natale gave his first speech as Greens leader at Canberra's National Press Club on Wednesday. 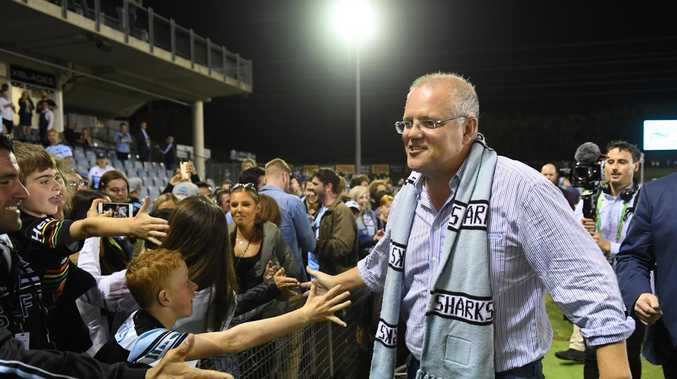 The speech covered climate change, politics, domestic violence and the economy, as he decried Australia's situation of having "five Prime Ministers in five years". Sen Di Natale said while that state of affairs was unprecedented, for those elected only two terms ago it was all they knew and he believed it was a sign Australia's democracy was in "deep trouble". "If you look at the decades of under-regulated, turbo-charged casino capitalism, that's resulted in a powerful coalition of unelected vested interests and rent seekers who are now more determined than ever and more powerful than ever, who want to protect the status quo," he said. "It's often said that people are apathetic, but I don't believe that's true because apathy implies indifference. "They're not apathetic, they're angry and they have a right to be angry." Sen Di Natale welcomed future talks with Prime Minister Malcolm Turnbull and called on him to do more on climate change and tax and superannuation reform, and to release asylum-seeking children from detention. Taking aim on climate change, Sen Di Natale slammed the chairman of former prime minister Tony Abbott's business advisory council, Maurice Newman, as a "tin-foil hat-wearing conspiracy theorist", and applauded Mr Turnbull's decision not to renew his term. Mr Newman is well known as a climate change sceptic. Sen Di Natale described the Greens as an "antidote to the toxic political culture of the old parties".